The Griot's Garage Micro Fiber Fast Cutting Pads will help you remove moderate to severe defects with ease! The low profile thin design allows you to easily get into tough to reach areas and improves polishing control. This pad utilizes a plush microfiber nap on the front of the pad and durable foam on the back. This microfiber pad works great with Griot's Garage BOSS Polishes and when this combination of pad and polish is used in conjunction with THE BOSS it works extremely well. This pad however is versatile so it can be used with any buffer and get great results. It helps work in the polish extremely well while often leaving the surface free from haze. 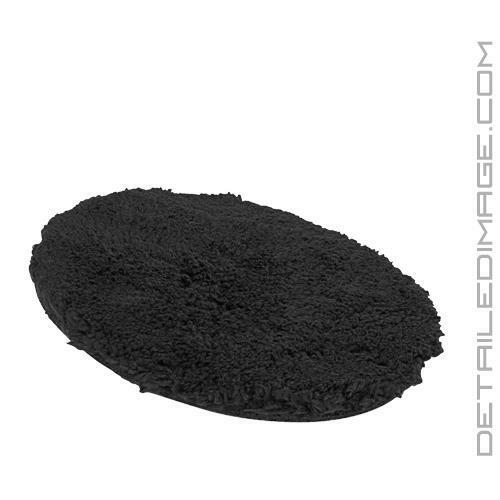 This pad will remove heavy imperfections, but it can finish down like much finer pads. You can get away with one polishing step on certain paint types, but for best results we do recommend using a lighter pad and polish combo to achieve perfection. Get excellent polishing power with the Griot's Garage Micro Fiber Fast Cutting Pad! I use it only for taking water spots off glass. It's great. Great cut, we used in conjunction with 3D/HD Cut+ (wish DI carried their chemicals!) and our G21s and we achieved very good correction. Leaves lots of micro-marring so be prepared to give it a good medium polish to remove haziness especially when using a high-cut compound. Damage is also possible since the pad is so thin so I suggest to tape up emblems or watch edges so you don't strike them when compounding.